We ’ll remove the obstacles of old technology and charge-by-the-hour fees that stand in the way of your growth. This means we’ll be proactive in helping you reduce your tax, eliminate costs and create more revenue. This means we’ll be available to talk – when you need us – so you can make better financial decisions. Abstracus was founded by Chartered Accountant Suganthan Allotey. Along with his team they have been serving businesses in Ghana since 2005. 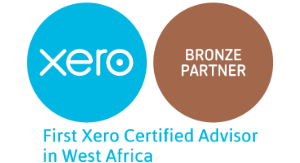 Suganthan has a deep passion for helping businesses grow, and as the first ever Xero partner in West Africa is pioneering the use of cloud-accounting software and monthly fixed fee pricing to make this happen even faster. Book an appointment with our team today to discuss your business needs. Three things come to mind.. Simple & easy to use, real time information about my business 24/7, excellent business support from a professional accountant – amazing!! Now i have a better view of my business performance and I am able to identify issues before they become major. Most accountants charge by the hour, this means they actually have an incentive to take longer and charge you more for your job. We don’t think that’s right. That is why we guarantee to fix your accounting fees in advance, so there are no surprises – you’ll pay the same amount each month for an agreed level of service and outcomes – and it’s easier on your cash flow too!